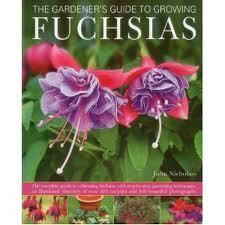 Home / Fuchsias / Fuchsias - Discounted Packs & Gifts / Fuchsia Book – RHS Practicles Guide by DK publ. This soft cover guide offers practical information and advice to both the beginner and the busy gardener. It contains full colour images and step-by-step instructions to help the reader get results. Topics covered in the guide include; fuchsias in borders; plant care throughout the year; best fuchsias for flower colour, foliage and form; species fuchsias available to gardeners; planting in containers and hanging baskets. 80 pages, Full colour and illustrations.